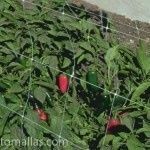 By using chile net (CHILI PEPPER netting or CHILIES) you will learn how to increase your field production, decreasing your costs and possibly achieve an organic certification. 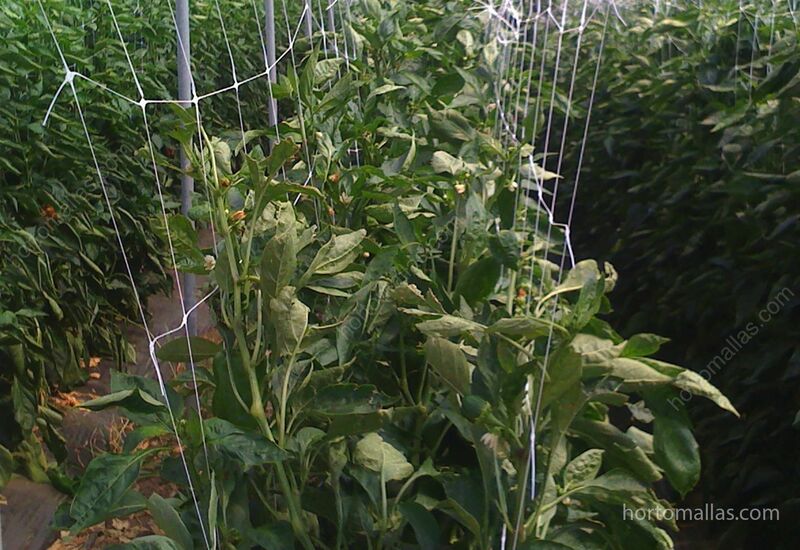 In solonaceae like chilies, HORTOMALLAS tutoring net is installed on both sides of the furrow as to prevent the plant from falling over while at the same time creating a sort of sandwich between the two nets and the plant (see the picture here to realize how to fasten the foot of the netting against the baby plant to ensure its growth from the onset) . 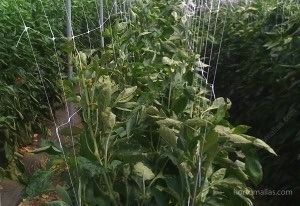 This double wall system of netting allows the plant to grow without any help from the field crew, and this savings not only will reflect itself as a number of hours saved on this task, but most importantly will be appreciated by the fact that a plant that is not handled continually will be more vigorous and will send its energy to fill the fruits rather than trying to re-accommodate itself all the time it is moved to follow the sun. 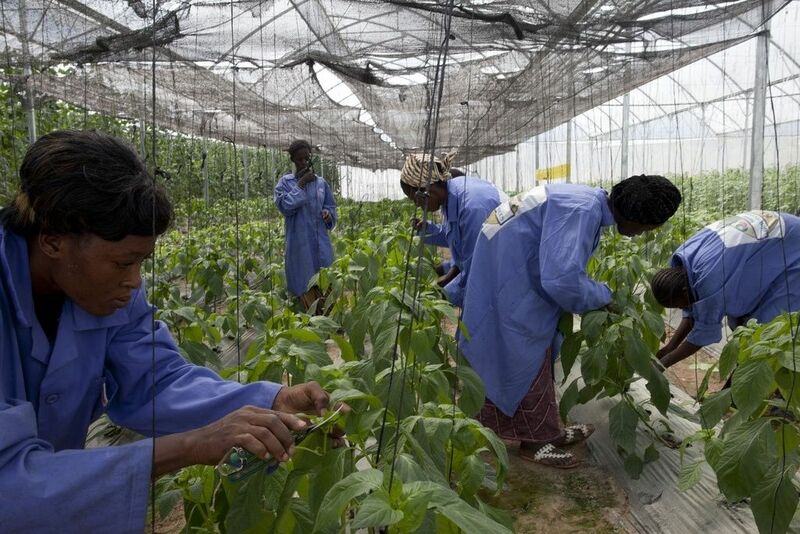 The other advantage is phytosanitary as each time an worker handles a plant it exposes it to mechanical transmission of pathogens like viruses, bacteria or fungi, this problem occurs when the workers, whom need to handle many plants in a row in order to achieve their objectives, will come in contact with a sick and diseased plant and start touching other healthy plants in the crop. 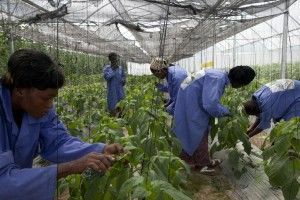 This mechanical transmission is considered the most probable after insects as the hands of your own employees become vectors for disease transmission.